All the Incredible Things to See & Do Near Our Provence Villa! We love Paris so much, but there’s an entire country around it that is waiting to be explored by you! France outside of Paris has so much to offer – incredible history, beautiful artisan goods, breathtaking landscapes, fascinating culture and of course, endless amounts of wine! That’s why today we want to take a break from Paris and showcase our Villa in the South of France. 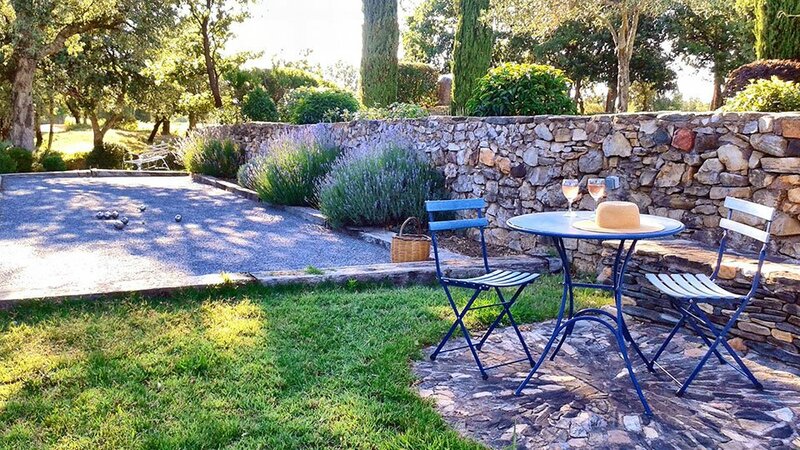 With 5-bedrooms that all have en-suite bathrooms, multiple balconies with vineyard views, a heated saltwater pool, pétanque court and tons of patio space for outdoor living, De la Barre Villa is your own private resort in the peaceful provençal countryside. It’s perfect for large families or even multiple families that want to share the cost of an unforgettable vacation together. So without further ado, allow us to show you all the amazing sights, sounds, and even smells you can experience if you stay here this coming Spring, Summer or Fall! 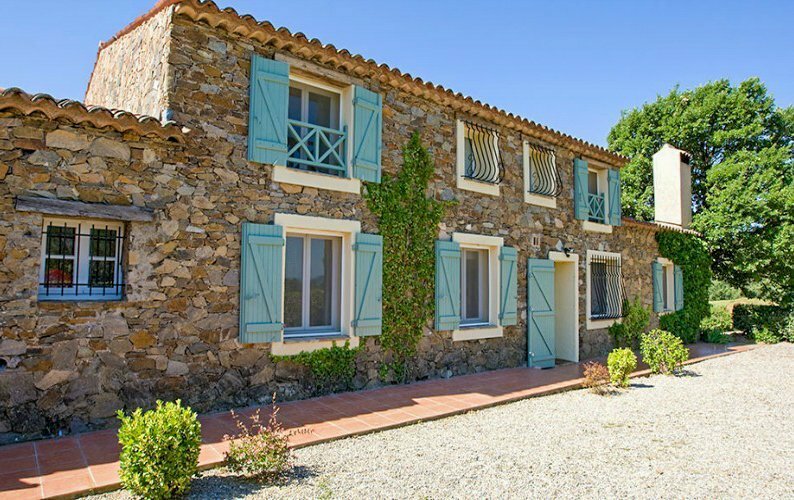 At De la Barre Villa, find yourself waking up in a quaint stone building, having simple breakfasts of fresh fruit, yogurt and croissants every morning that you picked up from the open-air market in a nearby village. Imagine yourself enjoying meals outdoors in the garden with a view of the rolling vineyards. Lounge by the pool and go for a swim whenever your heart desires, or pack some watercolors and practice your artistic hobbies. You can simply recline on a patio chair and read a good book, or prepare group meals for long, leisurely dinners on the patio as the sun sets. It will be a scene straight out of the films “Under the Tuscan Sun” or “Enchanted April,” but in France. And don’t forget wine-tasting! 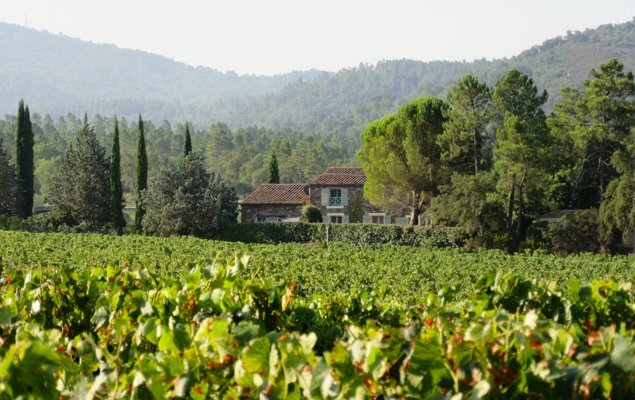 There are countless wineries all around you, so pick a few and go taste the flavors of the Provence wine region, most known for producing rosé. There are also rich reds and whites made in the Var and Bandol regions. France is filled to the brim with adorable historic villages. In fact, they even have an official list of the most beautiful in France! De la Barre Villa is situated among many of these beautiful villages, including Tourtour, where you’ll find flowered squares, 8 fountains throughout the town that are powered by a natural spring, which also powers the olive oil mill, still in use today. 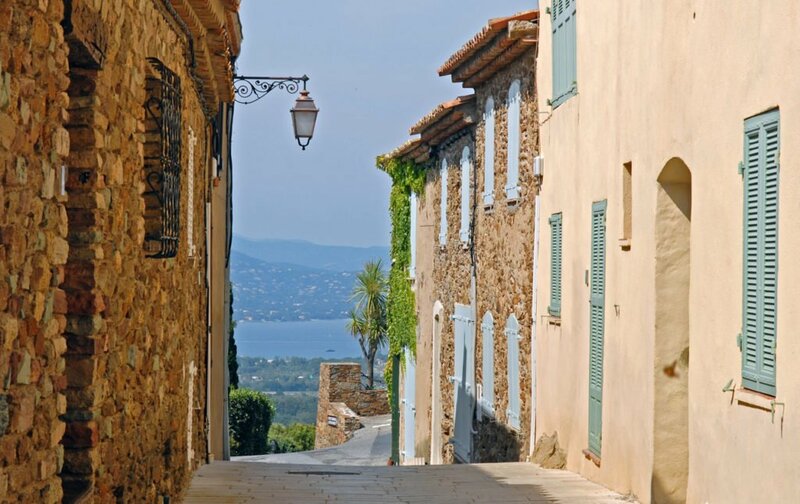 Consider also visiting Seillans, a quintessential terraced village on the hillside with stunning views and charming narrow streets. This is where artist Max Ernst spent his last days, and you can view many of his paintings of the area in the Tannin-Ernst Collection. 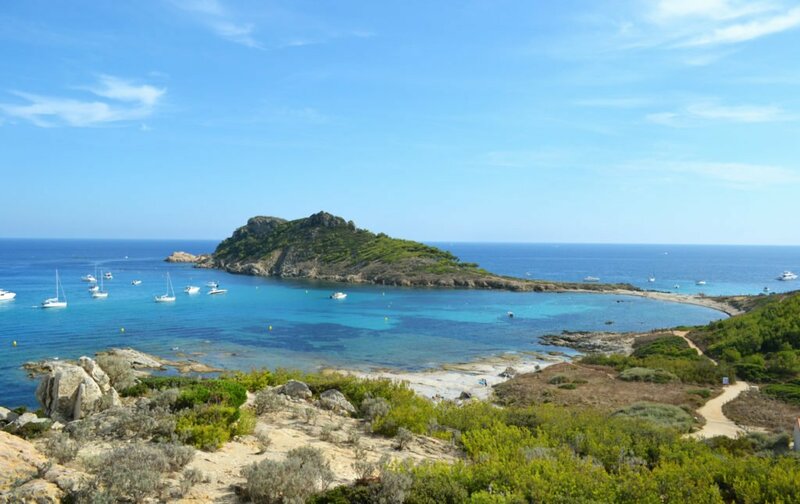 Our last recommendation (although there are dozens more in the vicinity) is Gassin, the closest of all three to the Mediterranean sea and just 4km from the port of Saint Tropez. From the highest viewpoints, you can see the coastline of southern France, the surrounding mountains, plains, vineyards, and even the snow-topped caps of the Alps! The history of this town is certainly rich, involving the Knights Templar, pirates, Romans, the manufacture of cork and even silkworms! 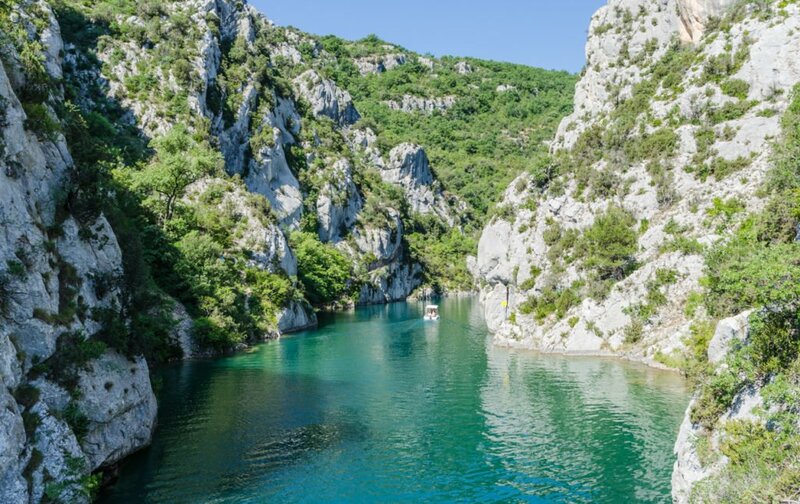 Boating through a portion of the Verdon Gorge, known as the Grand Canyon of France! That’s right – your villa is situated right next to a vineyard! Go for morning or evening walks among the rows of vines, or stop for a photoshoot – it’s a wonderful backdrop for portraits! The Plaine des Maures is a national park in France and it boasts some truly amazing hiking trails. The Lac des Escarcets trail is one of the easier trails they have, perfect for the entire family. The whole loop is a little long, but you can always turn back around halfway through to make it shorter. On this hike you’ll see a unique landscape interspersed with pink sandstone slabs, umbrella pines and cork oaks. Keep an eye out for birds nesting in the lake reed beds and tortoises in shrubs of heather. Access: Parking area at N 43.357198° E 6.402031°, or along the Piste de la Tire off of D558. The Gorges du Verdon, pictured above, is about 25km (15.5 miles) long and up to 700m (2296 feet) deep at some points. It has been dubbed the Grand Canyon of France. A popular and easy way to see it is by kayaking or boating near the end of the Lac de Sainte Croix, at boat-hire outlets near the bridge on the D957. The views along this road are incredibly spectacular! Here is one example of a boat hire company you may consider using: l’Etoile Boat Rental. The entire Mediterranean coastline is at your fingertips when you stay at De La Barre Villa. Head down toward Saint-Tropez to lounge on the fine white sands of Pampelonne beach à la Brigitte Bardot, with no crowded beach walk or tourist shops in sight. All you’ll see is ocean, natural dunes, blue sky and your fellow sunbathers. For something slightly different, head a bit further down the shoreline to Escalet Beach (Plage de l’Escalet). This area is comprised of multiple little beaches that you can access via short walks through the dunes. The further you walk, the more secluded you’ll feel. This is also a fantastic spot for snorkeling, renting kayaks, or going for a hike on the bluffs to get sneak-peeks at the fabulous mansions in the area. If you’ve only ever been to Paris, never having visited the South of France, you are going to be shocked by how much more colorful it is the closer you get to the Mediterannean! Bright hues of pink, orange and yellow permeate the cities and give it a completely different atmosphere. 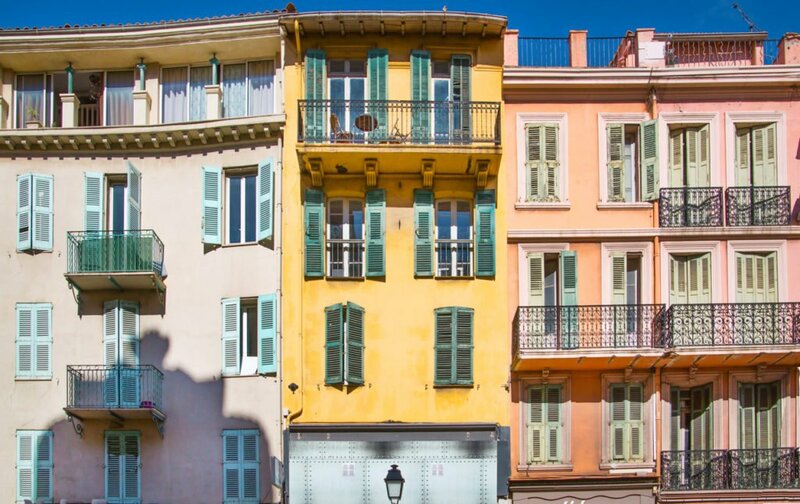 Cannes, Nice and Marseille are all a little over an hours’ drive away from the villa; That’s three amazing places on the Côte d’Azur to check off your travel bucket list! Widely referred to as the “Perfume Capital of the World,” the town of Grasse has a long history producing sweet scents. 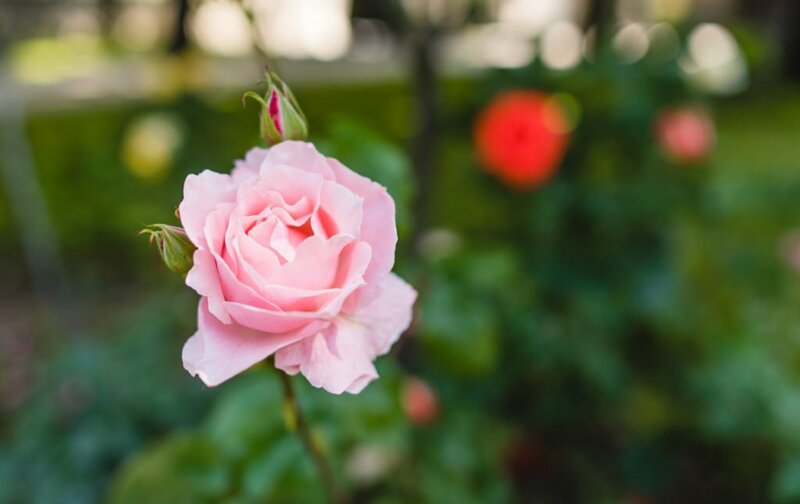 This is where the pink roses used to create the famous Chanel n.5 perfume are grown, and other flowers such as lavender, jasmine and violet are cultivated in the fields around town. Many perfume companies are based here, such as Fragonard and Galimard, and most offer tours of their factories and fields. Be sure to pay a visit to the International Perfumery Museum where you’ll learn the history of this craft over the span of 3,000 years. Another fun activity is to create your own scent at the Galimard studio: have fun combining base, heart and head notes to create your ideal fragrance! This is only 1 hour away by car from the De La Barre Villa, so it would be a fun and educational day-trip! If you’re willing to travel a little further from your villa – about 2 hours or so – you can explore even more of Southern France. Avignon is a wonderfully historical town where you can visit the old Palace of the Pope, and in the surrounding area are various highlights of the Luberon region such as the Lavender fields, the red ochre town of Roussillon, the limestone hilltop village of Gordes and the ancient Roman aqueduct called the Pont du Gard. 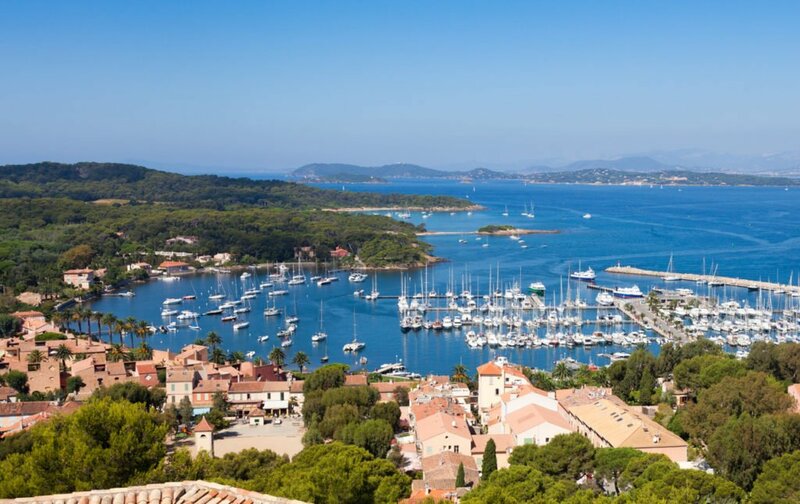 For something completely off-the-beaten-track, take a ferry to Porquerolles Island (L’Île de Porquerolles). Condé Nast Traveler called it “The French Rivera’s Last Frontier” because of its feeling of seclusion and pure natural beauty. PREVIOUS: Can’t Wait! Exclusive Cooking Class with Philippe Excoffier Coming Soon! Posted on Thursday, February 23rd, 2017 at 9:55 pm in Apartment Rentals. You can follow any responses to this entry through the RSS 2.0 feed. You can leave a response, or trackback from your own site. 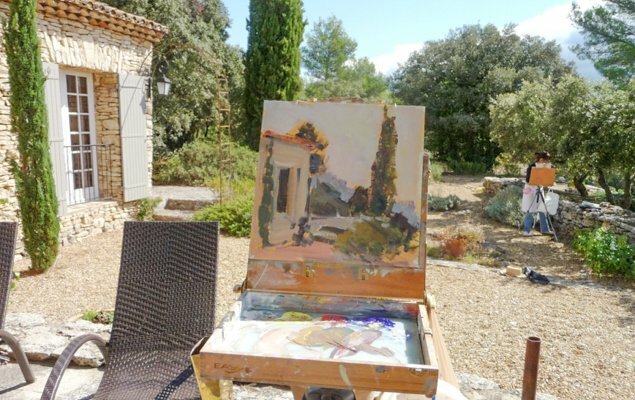 The Perfect Escape to Provence Get Inspired on a Week-Long Painting Retreat in Provence! The Perfect Provence Vacation Villas in the South of France Don’t Miss These Incredible Paris Airfare Sales!